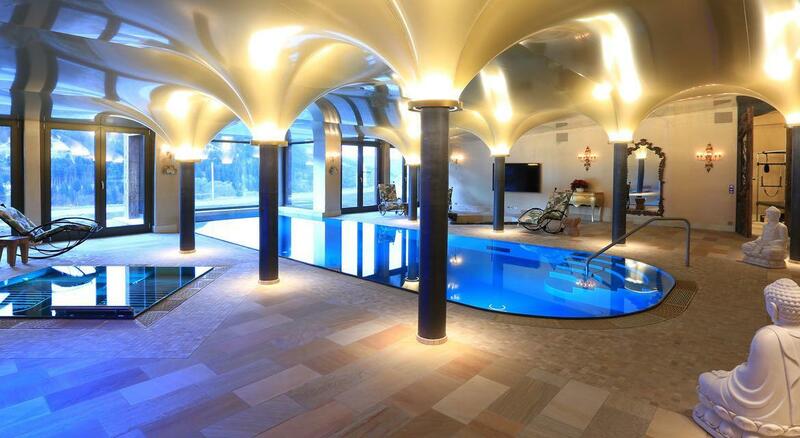 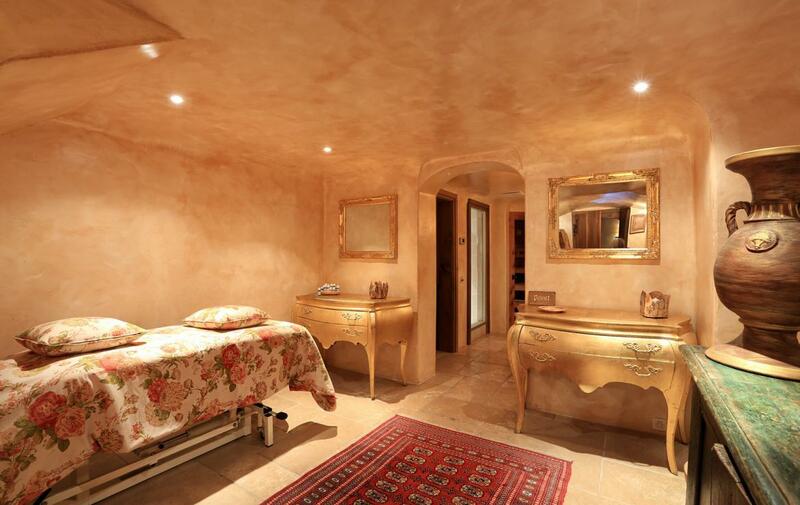 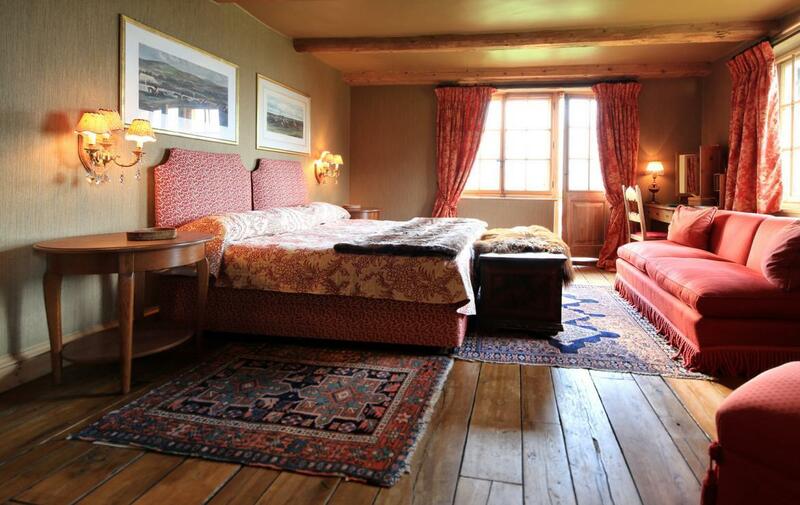 This property is a truly magnificent building that has been beautifully furnished and lovingly maintained. 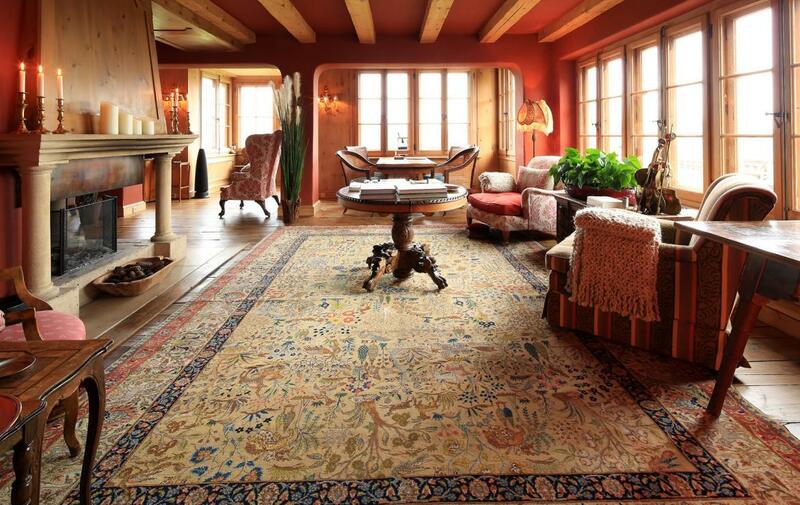 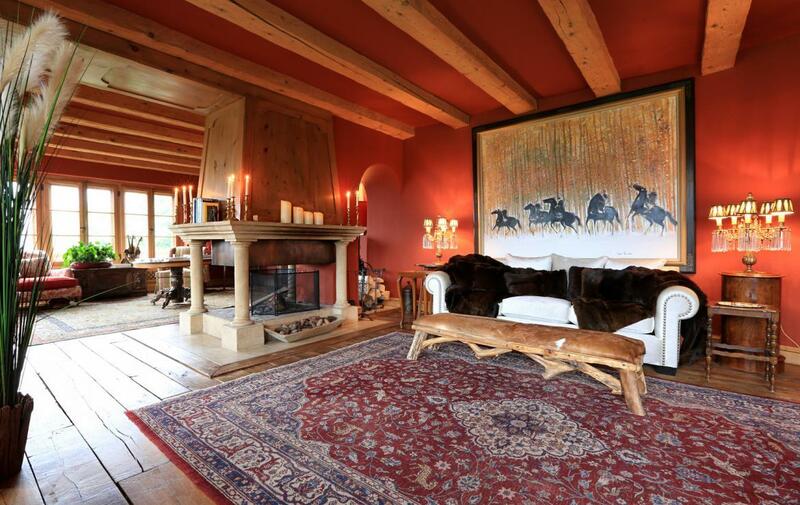 Located in a prime position in the village of Klosters, only a two minute chauffeured drive from the restaurants, bars and lifts. 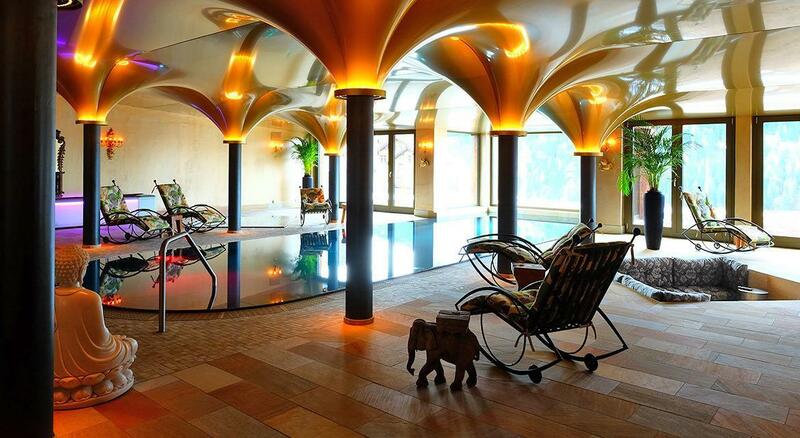 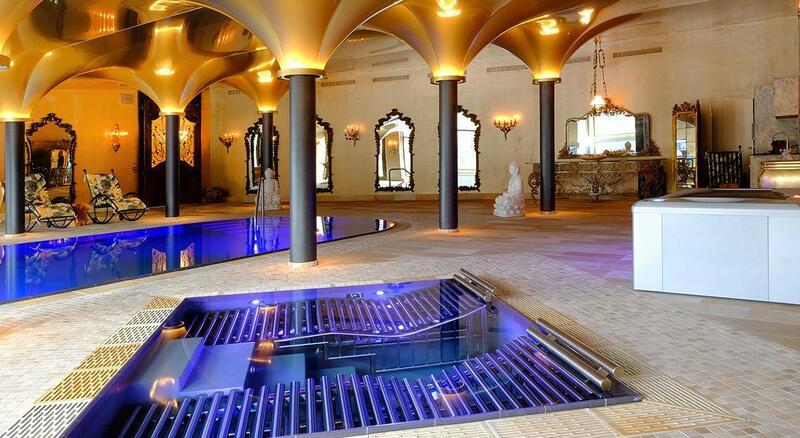 The interior is splendid. 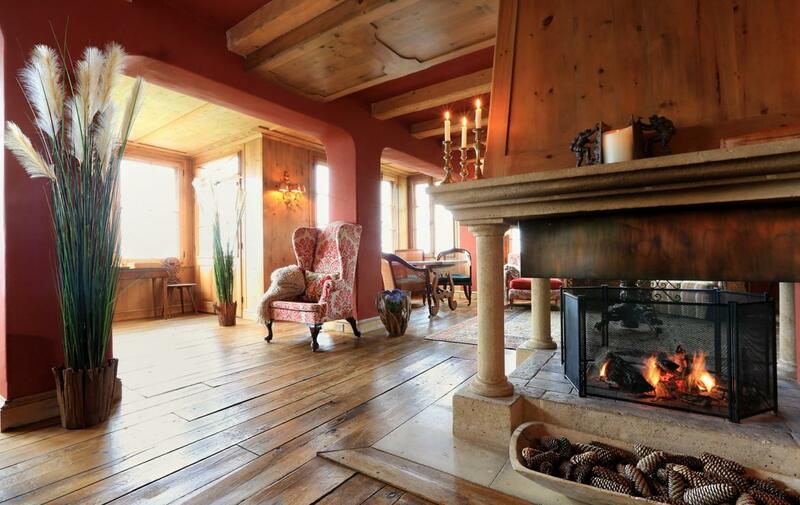 There are roaring fires, vast oak-beamed ceilings, antique furniture and large balconies with views across an empty snow-covered field to the summit of the Gotschna. 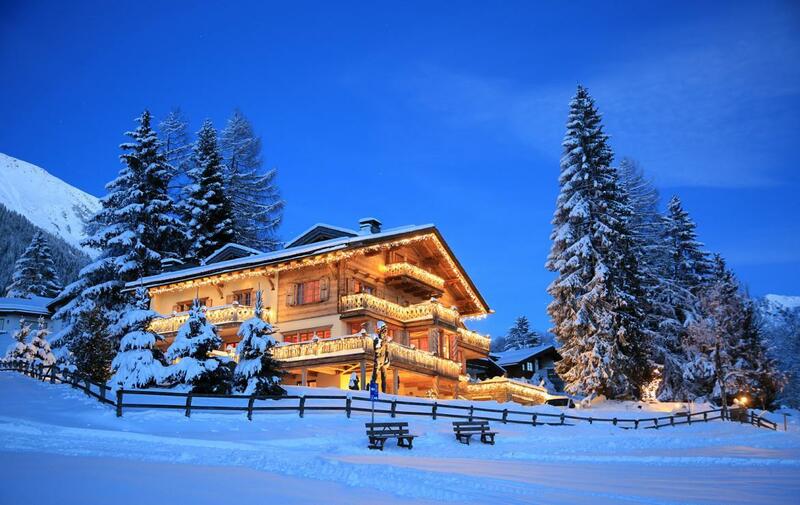 It is also extremely private with its own driveway and several acres of open space between it and the nearest chalets to the south. 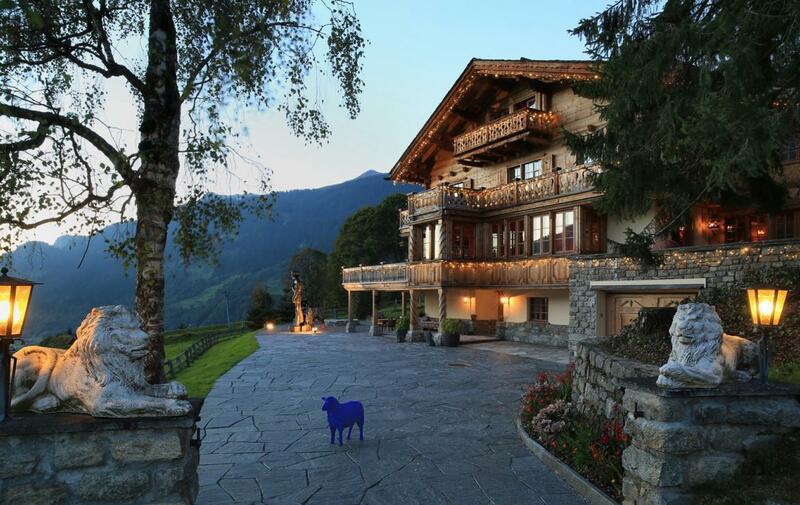 The chalet is secluded in her own extension of private spacious grounds of 2300 m2, a living area of which comprises 1400 m2 with her private road, bordering extensive farmland beside a small river. 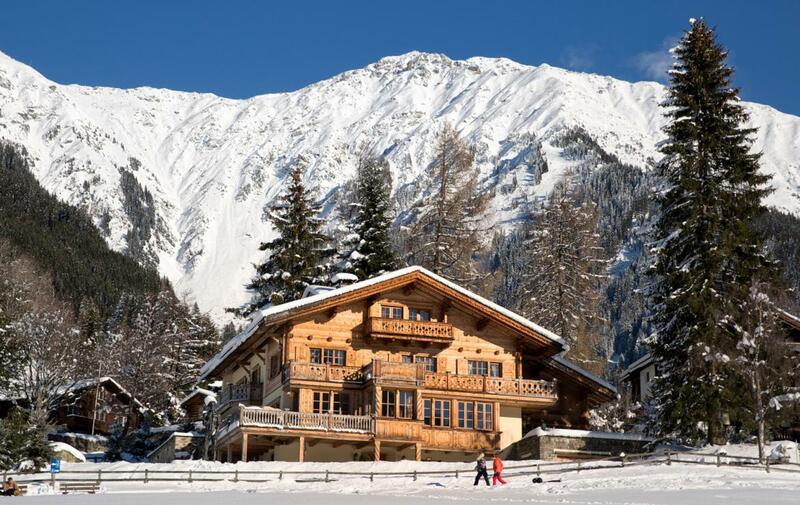 Her location encompasses the prime and most sought after, full day sun position in the village, neighbouring the summit of the Heidi ski lift that finishes on the doorstep of the chalet from where in winter, one is able to be entertained by beginners and children being coached in close proximity of the chalet. 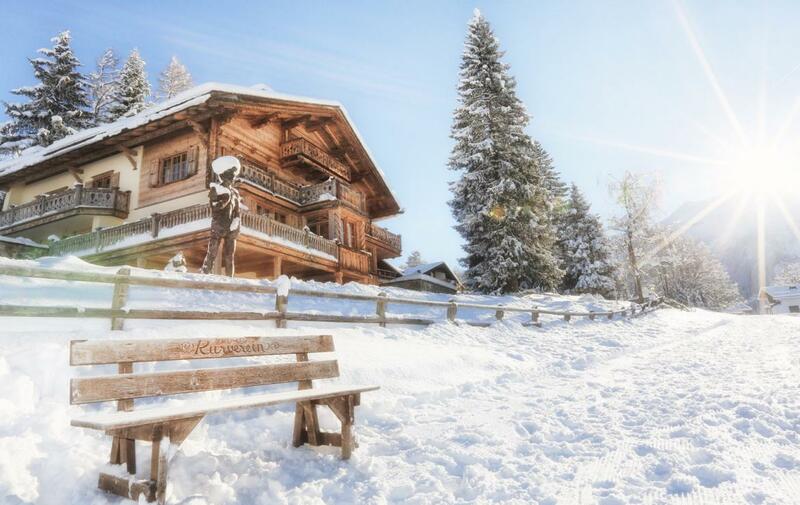 This location makes it ideal for families, with the beginner piste on the doorstep which is easily visible from the chalet, allowing parents to relax indoors whilst their children ski or play in the snow. 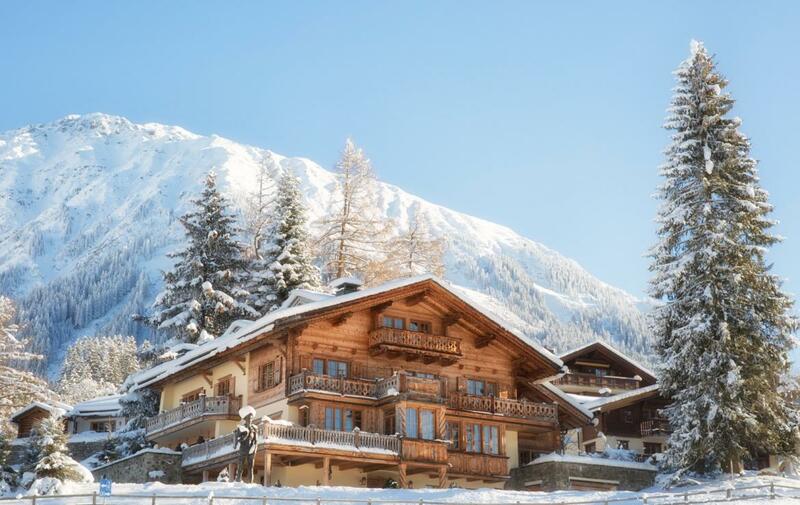 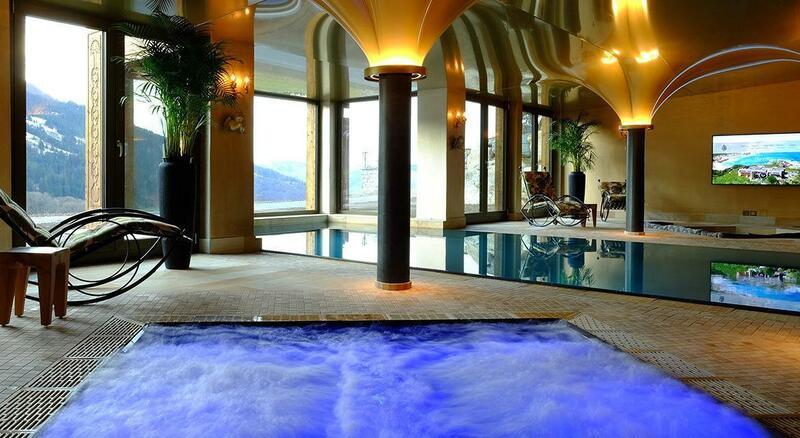 This chalet boasts a wellness centre of 300sqm including swimming pool, whirlpool, sauna, steam bath, shower, massage room and waterbed massage. 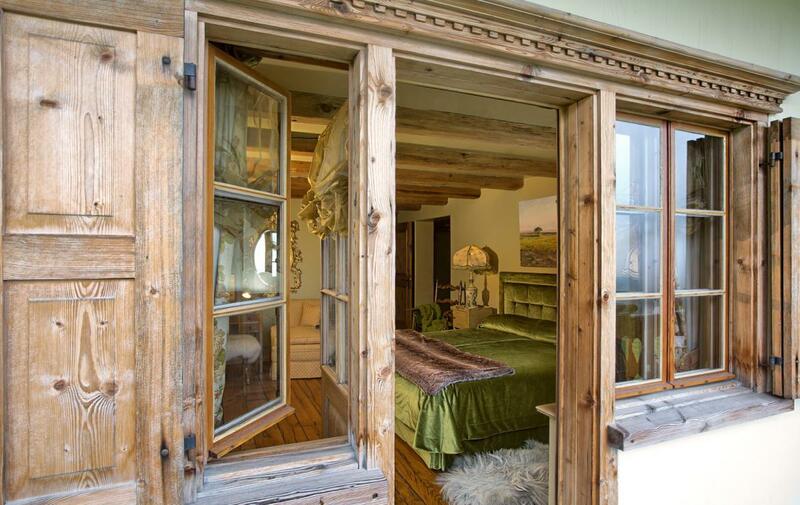 The bedrooms are exquisite, most have their own balconies, and the master suite is just extraordinary. 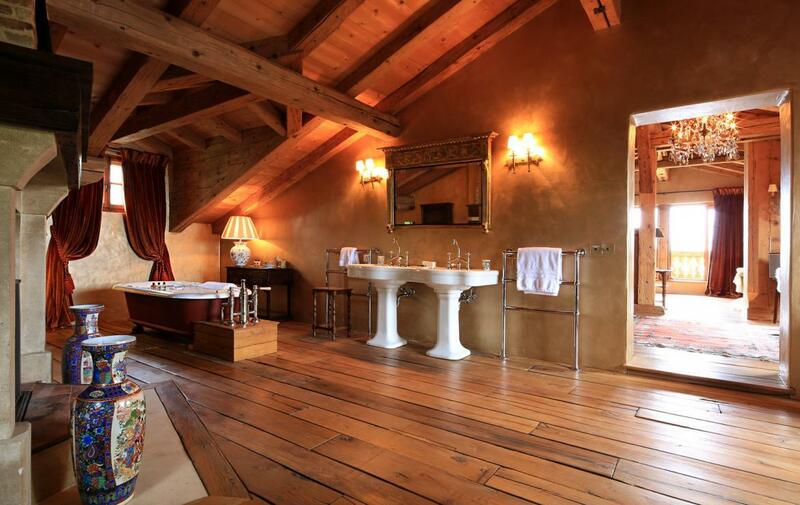 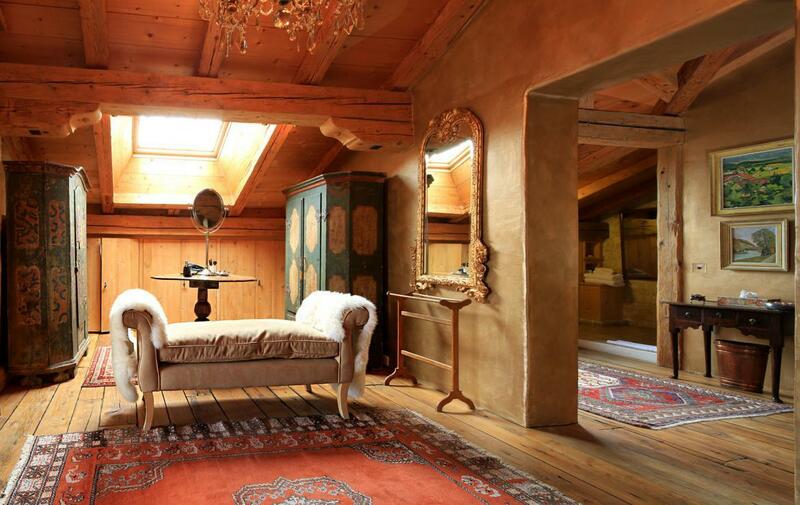 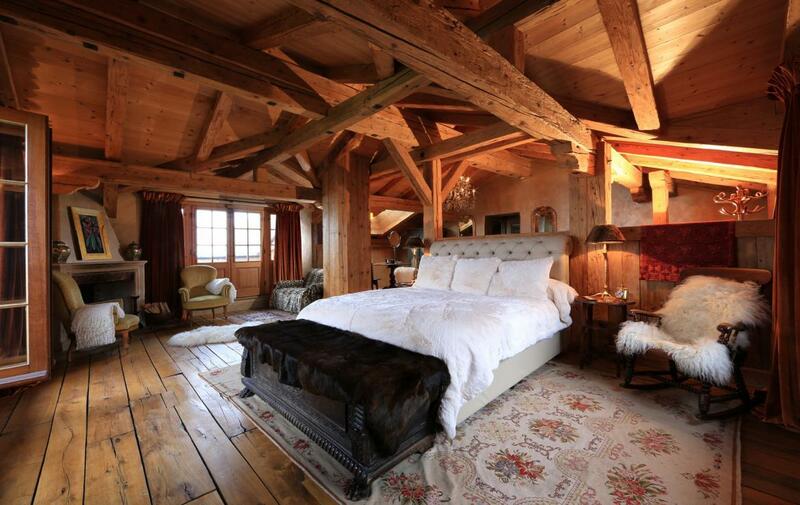 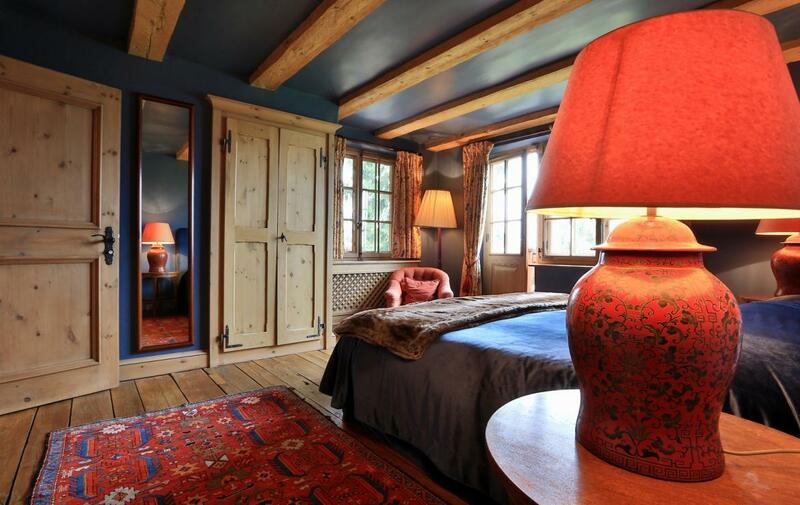 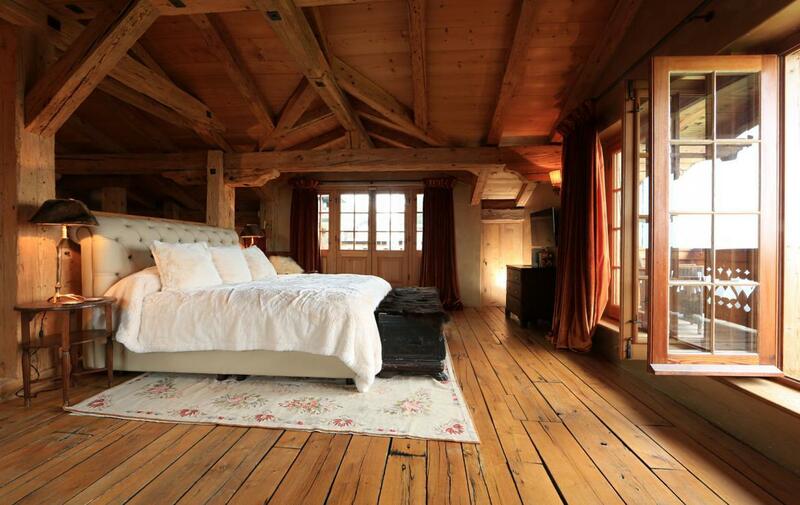 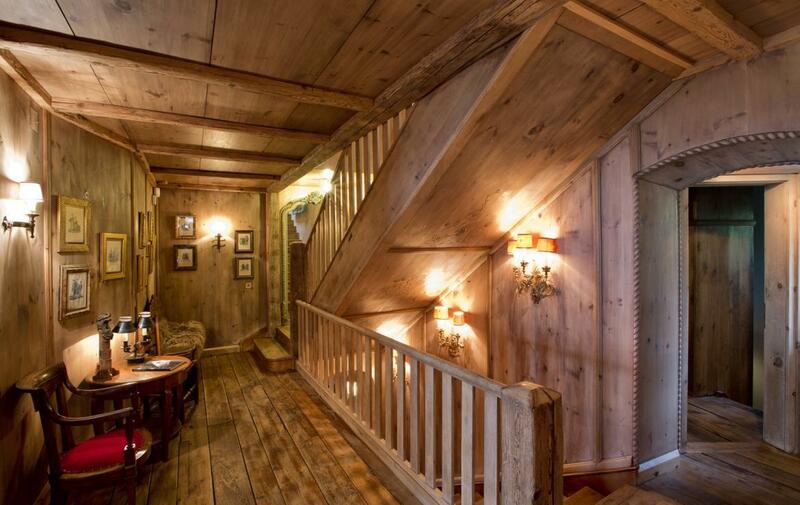 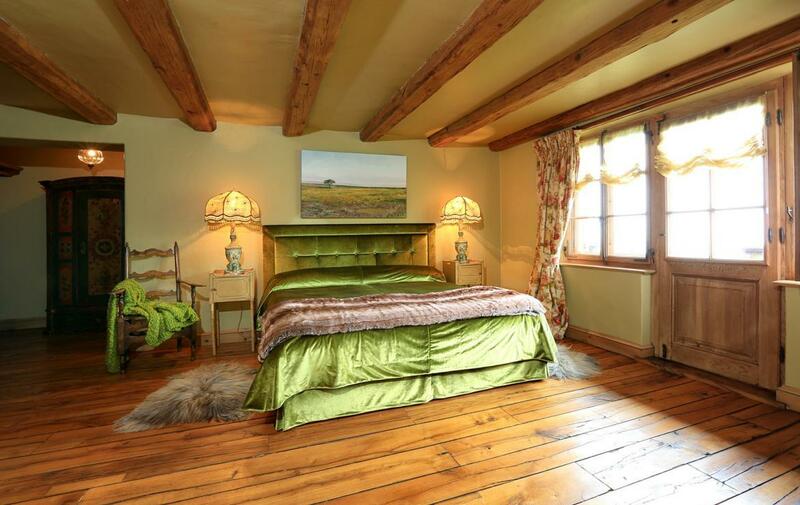 It takes up a whole floor, while its bathroom – with its fabulous free standing bath and glorious fireplace must surely be one of the finest in the Alps. 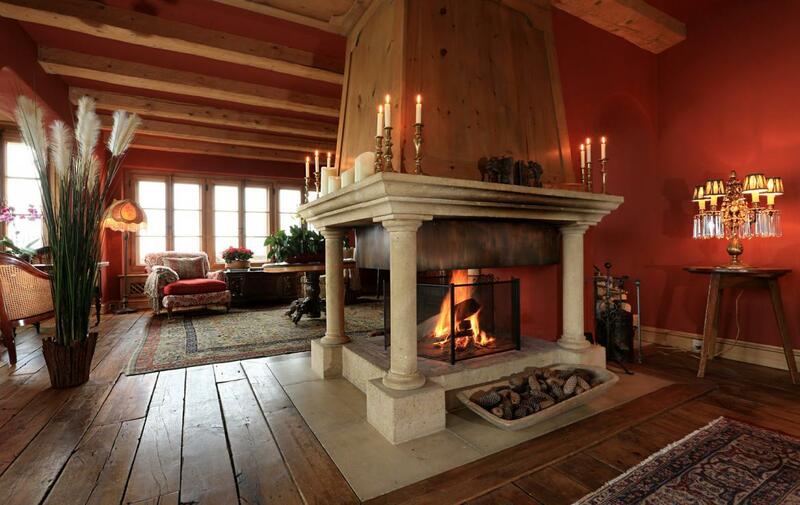 The main drawing room with its central pillared fireplace is the focus of the chalet which also boasts a stunning dining room and panelled study. 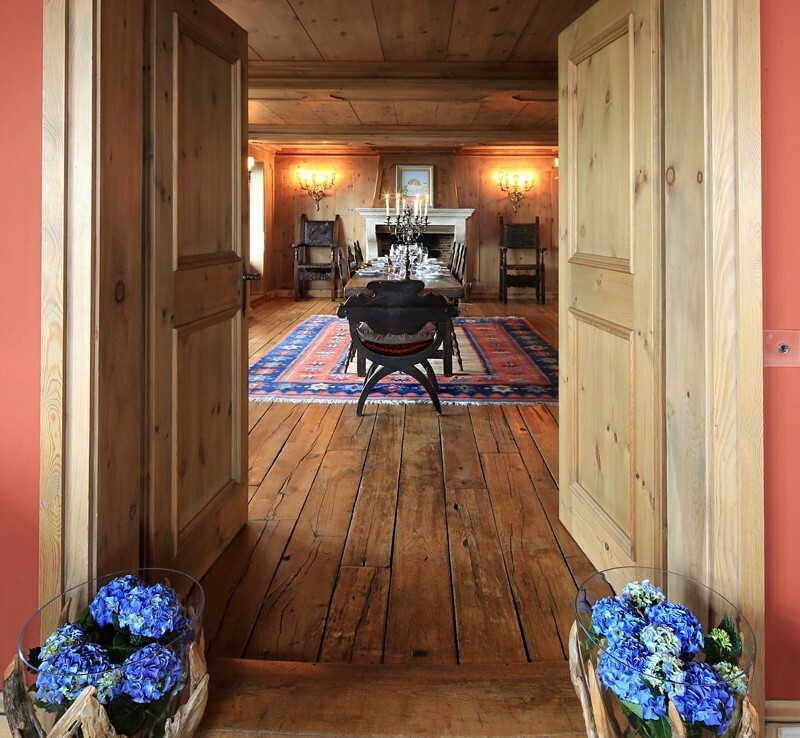 An intimate second dining room is equipped with the original wood-fired oven in. 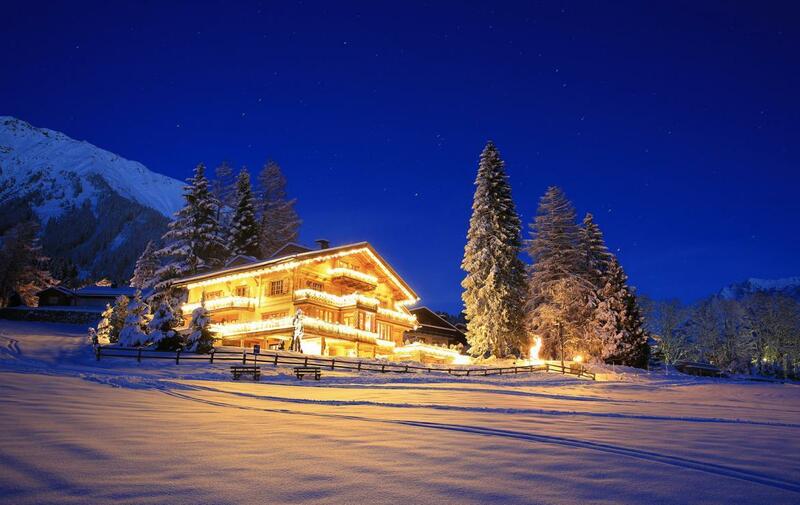 A full brochure of the chalet is available on request.